Forester Moulding & Lumber, Inc. Manufacturer of wood moldings: rails, bases, crowns, rosettes & plinth blocks; random-width flooring; runs from 5 to 5,000 ft. in more than 30 wood species; 2,000 profiles on a CAD system; custom designs; quick turnaround. Stock and custom room interiors for residential and commercial projects. 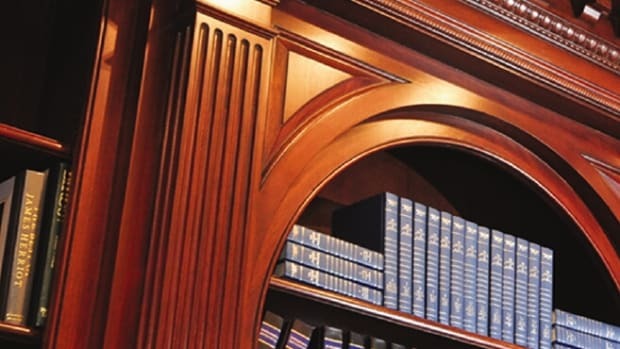 Embossed moldings, raised-panel doors, mantels, bookcases, door surrounds, pre-fabricated raised-panel wall sections.